You know that “impartial friend” everyone has? The one who is super mature, fair and almost never takes sides when people they know are arguing? That friend is akin to a discursive essay. Discursive essays are marked by their impartiality, by the distance they take from issues or complex phenomena. The discursive essay inquisitively walks around such subjects, examining them closely, but objectively, seldom forming a concrete conclusion. The discursive essay is very similar to that impartial friend who is always happy to lend a listening ear, but does not become emotionally invested in a particular issue. Conversely, we all have that friend who always takes sides and gets emotionally involved in any particular problem presented. This friend is more reactive and always picks a side, arguing about in support of it until they take their last dying breath. This kind of person is not akin to a discursive essay. People like that embody the core values of an argumentative essay (and sometimes even a persuasive essay). By the time you’re done reading this article, you’ll know just how to draft the most cohesive discursive essay. It’ll be an essay that even your most impartial friend would be proud of, earning you a passing grade for sure. A discursive essay discusses all perspectives and positions on a subject, issue, or popular topic. At the end of the essay, a more nuanced view on the subject is presented. The whole point of the discursive essay is to demonstrate that you can foster a balanced tone and outlook on some of the most charged subjects. You want to show your teacher that while you might have your own opinions about something, you can still put them aside. The best discursive essays are the ones that take a calm step back, examining the shades of an issue. The metaphor of the “impartial friend” is still relevant. You can go up to that friend and say, “my roommate stood me up for lunch and didn’t even text me to say she wasn’t coming. That friend is still going to remain impartial as say: “Well, on the one hand. that’s a rude thing to do. Particularly since you confirmed lunch with her just yesterday. Moreover, this is the modern era, there’s no excuse not to send a text as a head’s up, since communicating is so easy. On the other hand, she did just start a new demanding job that expects her to work crazy hours. And I do recall her saying that she gets bad cellular reception at the office. And her parents were so strict growing up, she does seem to have weird issues connected to disappointing people.” The discursive essay is not quick to judge, even if a matter seems very black and white. Few issues in this world are as simple as they appear. Discursive essays give you the opportunity to scrutinize and review the distinctions connected to each. 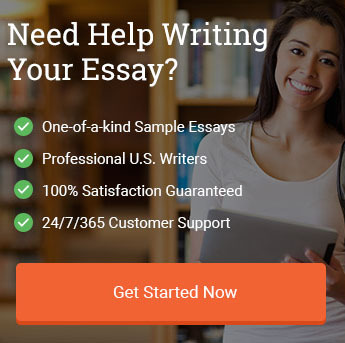 The format of a discursive essay is similar to the format of all the other types of essays that you are familiar with writing. Your first paragraph or introduction opens with a hook that is connected to the greater issue at hand and that entices the reader to continue reading. The subsequent sentences then discuss the background of the subject and the general relevance to the present day. One of the more challenging things to get used to in a discursive essay is the fact that the thesis statement does not take a firm stance on the issue one way or another. Most students are used to writing thesis statements that are definitive in one way and that guide the reader into the direction that the paper is heading. 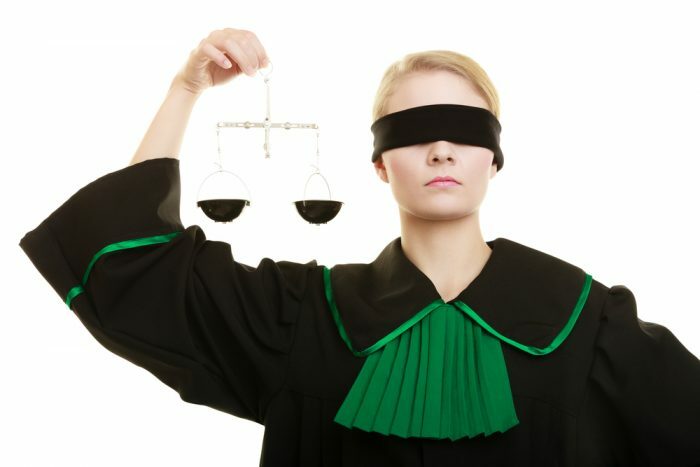 The thesis statement of a discursive essay needs to continue with this same, “two sides of the coin approach.” For example, “While some people say that the death penalty is morally wrong, others argue that the failure to administer the death penalty means that justice has been denied.” This thesis statement merely asserts the two perspectives that the paper will discuss in depth. Each body paragraph of the essay should be dedicated to one side, in an equal number. For instance, if you have two paragraphs examining the immorality of the death penalty, then you need to have two paragraphs examining the importance of the death penalty. If you decide to just have one paragraph in favor of the death penalty, then you need to just write one paragraph against it. This has do be achieved regardless of what your actual opinion is. The treatment of each side needs to match one another in size and approximate word count. The conclusion of the discursive essay is more distinctive than the traditional conclusions most students are used to writing. You will begin your conclusion with an assessment based on all the evidence that you’ve presented, but one which is not definitive. Make sense? It all goes back to that metaphor of the “impartial friend.” The impartial friend never takes sides but she does gravitate towards statements that are true. In the case of the example regarding the missed lunch, the impartial friend might say: “It is always rude to leave someone in the lurch with no explanation when you have made plans. While your roommate might not have been able to call or text, she could have definitely sent an email. However, we are all only human and one must take into consideration that this dream job that your roommate struggled for so long to get has probably left her very distracted. She hasn’t been eating nor sleeping much and she’s been working upwards of 12 hours a day.” In this case, the conclusion offers more clarity, but without taking a definitive side of the issue. Similar to other essays, you will recap your main points using new vocabulary words so that you don’t sound like you’re just repeating yourself. Some teachers suggest that at the end of a discursive essay you should state your viewpoint or select the side that strikes you as the most correct. That’s not reflective or a true discursive essay. You might a hint a little at the side that you prefer, but you still have to reiterate the validity of the opposing side. This is why these essays are so delicate: you need to be careful to be even and balanced and not take sides. Pick your subject (if you have that luxury). It’s ideal if it is a subject that is more controversial as this will give you more to write about. On a piece of scrap paper, jot down the main points supporting one side of the issue. Do the same for the opposing side. Circle the strongest points. Research a quote or statistic that addresses this exact subject. Find one you like and use it as your hook. Discuss the background of the issue for two or three sentences. Craft a thesis that summarizes the two opposing views on a subject or conflict. Use your first body paragraph to describe one perspective on this topic and the main points that support this view. Definitely dig deep and show that you understand the nuances and details of the perspective. (Add an additional paragraph in this same manner if your teacher wants a longer essay). Do the same with your next body paragraph. Craft an opening sentence for your conclusion that recaps the two opposing viewpoints but in a matter that offers greater clarity. Connect the entire subject matter to a bigger issue of society, human existence or another “bigger picture” issue. Stuck Writing Your Discursive Essay? Are single parent homes always inferior to two-parent households? Are middle children almost always under-achievers? Does exposure to violence in the media prepare children for the harsh realities of life or make them more prone to react violently to conflict? Do children who grow up with pets tend to be more well adjusted adults? Should religious institutions lose their tax-exempt status? Do social media platforms have a moral obligation to ban trolls and online bullying regardless of the first amendment? Do the people who bicycle or walk to work regularly deserve tax breaks? Big government tends to stifle the economic prosperity of the nation it governs. Raising children in the suburbs fails to help them reach their full potential because the suburbs lack a wide range of experiences. Need more suggestions? view our article on discursive essay topics. “Success is a lousy teacher. It seduces smart people into thinking they can’t lose.” Thus spoke Bill Gates, the wealthiest man on the planet. Some of the greatest minds of our day and some of the most successful people on the planet emphasize how fickle success is in terms of offering a meaningful lesson for instruction. Certainly any reasonable person has to accept that failure does have things to teach one. But even so, is failure a better teacher than success? Both experiences in life have an enormous amount to teach one. The question remains if one is better than the other at the art of personal development. This essay will examine each experience in depth and the value of both success and failure at forcing the individual to develop. Failure offers many immediate lessons, the bulk of which are obvious. Failure shows brilliant people that they aren’t infallible: not every idea or project that they touch is going to turn to gold, or even be liked, let alone used by the general public. Failure forces you to examine your past actions and see where you went wrong. What did you overestimate/underestimate or miscalculate? Failure forces one to grow some humility and engage in a level of introspection that most people try to avoid. If the individual allows it, failure offers illumination on a mistake or series of mistakes. The mistakes have to be fixed before the journey can be taken up again. This is a form of experiential learning that offers the most clarity. When a person embraces failure, they are more likely to engage in a trial and error path with their projects and other endeavors. This is the spirit of experimentation that allows real innovation to occur. Moreover, failure forces one to engage in the growing pains of emotional intelligence development. This is because failure is embarrassing. It leaves you no choice but to pick yourself up, dust yourself off and try again. This can’t help but force you to forge ahead in terms of your own inner resilience, fortitude and sense of character. On the other hand, success if often overlooked and underestimated in the lessons that it has to teach. As one successful entrepreneur, Daniel Milstein, said: “Success is never owned. It’s rented and the rent is due every day.” Successful people often find themselves on a higher level with tougher competition. They learn quickly that their success is not lasting and that they must work both harder and smarter to maintain it. They have to be equally introspective as people who experience failure, if not more, and examine the choices and strategies they took to get to their level of success. Success forces them to compete on a more rigorous playing field and to bring themselves to the challenge. If they had to be great to be successful, competition dictates that they must be phenomenal in order to maintain their success. Successful people learn rather quickly that they must step up their game in order to continue to progress forward. Furthermore, success offers you access to other successful people. You can network with them, share resources, advice, tips and useful discoveries. It puts you in touch with a host of elite people who are able to help you as you help them. In summary, both success and failure offer one very distinct lessons and opportunities for growth. Determining which is a better teacher can be a tricky endeavor as they both offer such disparate lessons. On the one hand, failure forces one to confront one’s own fallibility and develop a more experimental nature. On the other hand, success forces one to become even more excellent to maintain one’s success—along with the ability to network with other accomplished people. Both experiences offer the opportunity for growth, though failure’s lessons are unavoidable if one wants to continue to move forward. The discursive essay offers you a shining opportunity to step into the shoes of one’s proverbial “impartial friend.” Embracing the mindset of such impartiality gives you the ability to really examine the positions around an issue with a depth many aren’t ordinarily capable of doing. Discursive essays also offer great freedom: it’s not your job to argue a point or convince the reader of something. Instead, you’re just shedding light on the many complexities of a subject. If you’re ever stuck or want feedback on what you’ve written, our writers have decades of experience in shaping these essays until they reach the highest level of excellence. Some students might just want a few pointers, whereas others may need more rigorous assistance. Regardless, we are here to help you craft the best piece of writing. "How to Write an Amazing Discursive Essay (2019 Guide)." Aceyourpaper.com. Student Network Resources Inc, 24 September. 2018. Web. 20 April 2019. Student Network Resources Inc. "How to Write an Amazing Discursive Essay (2019 Guide)." Aceyourpaper.com. https://www.aceyourpaper.com/essay-writing/discursive-essay/ (accessed April 20, 2019).